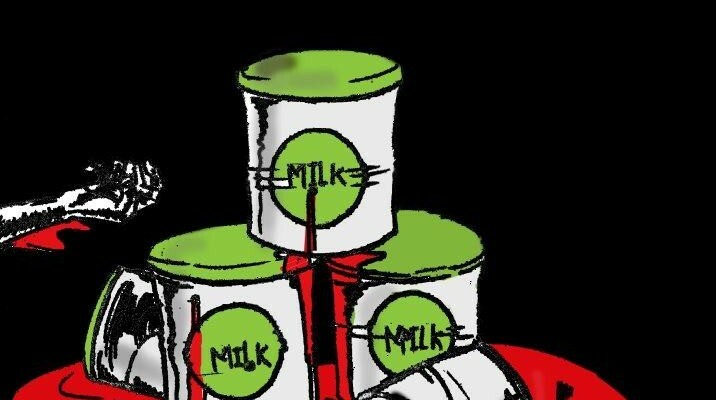 "Five Boxes of Milk" is an adaptation of a short story of the same name written by Yehni Djidji. It follows the story of a young family living in an Ivorian town during the 2011 election crisis. Innocent and his wife Sarah have just had a child but Sarah has not been able to breastfeed the baby since the bombing and constant shooting began. Innocent is a pious christian and does not want to steal food to feed the baby. However, one day he is forced to go out to look for five boxes of milk for Sarah and their child, risking his life and going against his Christian beliefs. While stealing powdered milk from a store with a group of other men, Innocent is shot at. He returns home with milk but collapses and dies from gunshot wounds while Sarah cries. Ellerson, Beti. “FESPACO 2015 – Siam Marley: ‘Cinq boîtes de lait’/‘Five boxes of milk’”. African Women in Cinema Blog, http://africanwomenincinema.blogspot.ca/2015/02/fespaco-2015-siam-marley-cinq-boites-de.html. Accessed 8 April 2018. Ellerson, Beti. “A Conversation with Siam Marley.” African Women in Cinema Blog, http://africanwomenincinema.blogspot.ca/2012/03/conversation-with-siam-marley.html.